Roughs sleeping can happen to anyone, in Ipswich we have a rough sleeper problem, by converting a double decker bus in to a hostel for the rough sleepers, we will be able to house up to 14 rough sleepers in Ipswich. It's the hand up needed for our rough sleepers, to get their lives back on track, our motto is 'from the ground up' We want to work with our rough sleepers to address, mental health issues and addiction issues that have not been addressed because they don't have the safety of somewhere safe to sleep. This all started as a rare date night in October 2016, we saw a rough sleeper outside the restaurant, we decided we wanted to give a meal to the rough sleeper, but the restaurant refused, Gareth decided to get a macdonalds for him, but when he went outside to ask the rough sleeper what he wanted, he had gone. the next day gareth couldn't stop thinking about the rough sleeper, so we put a call out on Facebook for warm blankets clothes and socks. We was inundated with donations, and soon our house was filling up with more things than we could give away. Our daughter Tiffani was very much our driving force in the beginning, we would often arrive home to find Tiffani had organised the teas and coffees and hot chocolates, the sleeping bags, blankets, clothes and shoes to take out to the guys and girls sleeping rough, they really responded well to Tiffani and myself and Gareth. Then we saw the Bus Shelter on the Isle of Wight, Gareth said that's what we are going to do, we decided to call the project Tiffers, after our daughter Tiffani. here we are in May 2017 we now have a CIC shop which sells donated items, we have a double decker bus which was donated to us, however The Bus is only 70% converted and we need those crucial funds of approximately £5000 to finished to convertion. 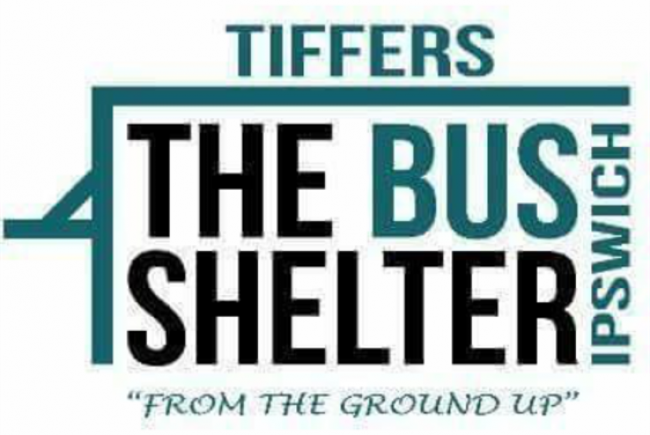 Project Delivery Manager: Tiffers - the bus shelter Ipswich cic The Project Delivery Manager takes legal responsibility for receiving and spending the funds raised and ensuring the project is delivered.